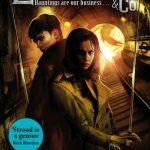 The Creeping Shadow (Lockwood & Co. #4) by Jonathan Stroud — YA paranormal. I seriously love this series. About a group of teen ghost hunters in a UK overrun with ghosts, the Lockwood & Co. books have everything — twisty plots, creepy scenes, and great world-building and characters. I’ve listened to all the books on audio so far, but have started buying physical copies too so I can give them heart-eyes on my bookshelves. The Witch of Salt and Storm by Kendall Kulper — YA historical fantasy. There was lots of hype for this book when it came out a couple of years ago. The story follows a teen girl, last in a line of female sea witches who are fated/cursed to spend their lives performing spells for the residents of their island home. Though I liked the basic storyline, it was a little slow-paced for my tastes. 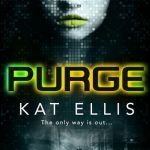 Purge by Kat Ellis — YA sci-fi. 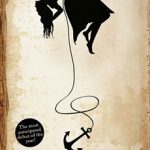 Kat Ellis’s second YA novel of the year! Going into Purge, I wasn’t quite sure what to expect, but that turned out to be a good thing. The story follows Mason and Noah as the secrets of their two realities are slowly revealed — Mason in the too-perfect-to-be-true community of Alteria, and Noah in a strange wasteland. I couldn’t guess the direction the plot would take, and enjoyed every new twist and revelation. The world-building was excellent, and I can imagine Purge making a great sci-fi film. Cell 7 by Kerry Drewery — YA sci-fi. I picked up a copy of Cell 7 at Kerry Drewery’s launch last month, and have been intrigued to read it for a long time. 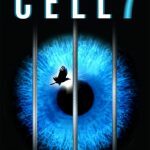 The first in a new trilogy, Cell 7 follows the plight of teen Martha as she’s put on death row in a future where her fate will be decided by social media and phone votes. The plot had me hooked, and though I can’t imagine a similar concept of ‘justice’ existing in the near future, the manipulativeness of the media felt very relevant to today. Well worth reading. 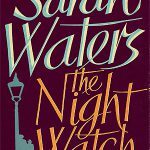 The Night Watch by Sarah Waters — Adult historical fiction. Another month, another Sarah Waters book! Set in WWII London, The Night Watch follows various characters and the ins-and-outs of their lives, working from the novel’s present to its past. I thought it ambitious and complex, moving and often sad, but enjoyable. 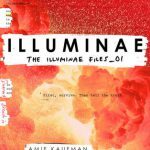 Illuminae by Amie Kaufman and Jay Kristoff — YA sci-fi. Wow, I LOVED this! Written through a series of emails, diary entries, wikipedia-style articles, maps etc., Illuminae follows the plight of newly-ex-boyfriend and girlfriend Ezra and Kady as they escape the bombing of their planet and flee their attackers in spaceships. You’re thrown right into the action, and it did take me a while to work out what was going on, but it was worth persisting. Though I wasn’t fully invested until about 100 pages in, after that I was SOLD. Very high stakes and lots of clever things. My favourite book of the month. Can’t wait to get my hands on book two. 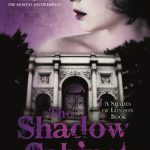 The Shadow Cabinet by Maureen Johnson (Shades of London book #3) — YA paranormal about a secret London ghost-hunting government agency. It’s a while since I read the previous two books in the series, so it took me a good time to get into The Shadow Cabinet, which has a slow start anyway. The plot picked up around the halfway mark, though, and I really enjoyed it from there. 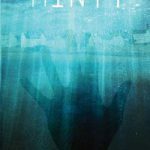 Minty by Christina Banach — YA contemporary paranormal. I’d been intrigued to read Minty since meeting Christina at the first UKYA Extravaganza. Main character Minty spends most of the novel as a ghost, but it isn’t a Halloween-style ghost story — rather it’s an exploration of grief. 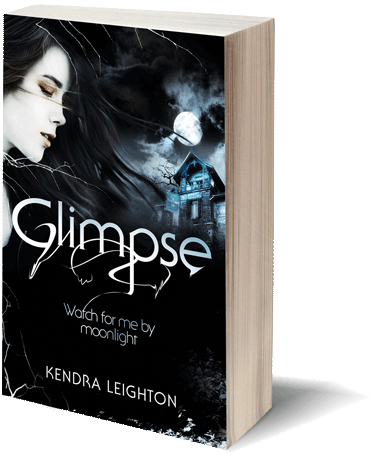 Though it obviously has paranormal elements, it’s a good read for contemporary fiction fans. 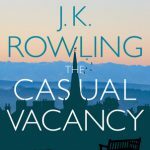 The Casual Vacancy by J.K. Rowling — Adult literary fiction. I’ve had this sitting on my bookcase for years, and finally got around to reading. It’s nothing like Harry Potter, obviously, (perhaps why it has such mixed ratings on Goodreads? ), but I thought it was excellent. Great characterisation and a satisfying ending. What books did you enjoy in October?